A book that would make any chocolate lover go weak at the knees. 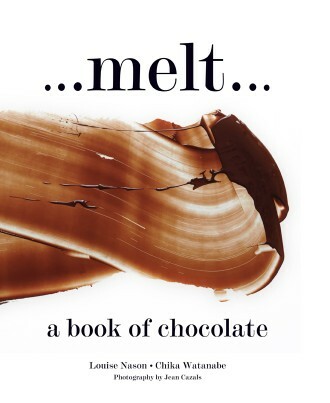 From Melt, a tiny boutique chocolatier in London’s Notting Hill, turned major destination for discerning chocoholics, comes this stunningly mouthwatering book of delights. Melt features essential insights and masterclasses for all those keen to master the mysteries of cooking successfully with chocolate, accompanied by brilliant recipes for everything from wondrously flavoured truffles and lollipops, to irresistible chocolate slabs and caramels. Working closely with her head chocolatier, Chikako Watanabe, Nason has produced a book that promises to help us re-think the way in which we taste, make and buy chocolate. Stunning images from award-winning photographer Jeans Cazals adorn the pages of this beguiling book.Founded by Louise Nason in 2006, Melt has fast-become a culinary hotspot for chocolate lovers the world over. Alongside her range of Melt chocolates Louise has also collaborated with some of the UK’s leading chefs- including Mark Hix, Skye Gyngell, The River Café team, and Sophie Conran – to create a range of bespoke, branded chocolates. As well as the original shop in Notting Hill, Melt also has a shop within Selfridges on London’s Oxford Street.